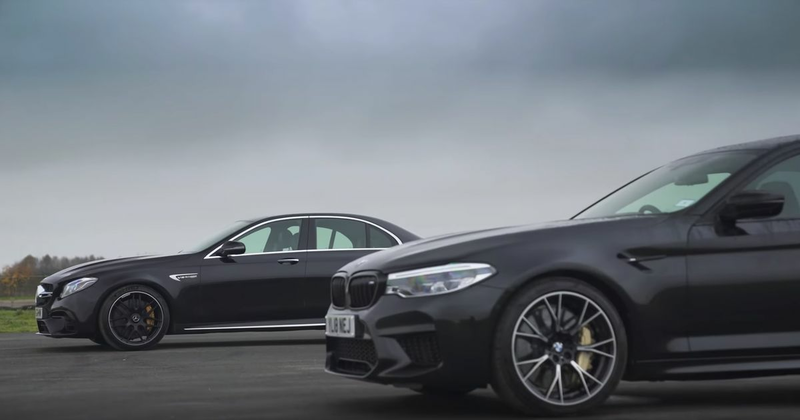 Earlier this year, the ladies and gents at Car Wow drag-raced two hugely potent super saloons: the BMW M5, and the Mercedes-AMG E63 S. Both have V8s with similar power outputs, and both send power to all four corners, but the AMG took a fairly convincing victory. Now, it’s rematch time. In the Munich corner it’s the new M5 Competition: a slightly lower, slightly stiffer version of the four-door missile which - crucially - has more power. With 616bhp it’s pokier than the Mercedes (which develops 603bhp from its 4.0-litre twin-turbo V8) on paper, and we all know how conservative BMW tends to be with its factory figures. As ever with these drag races, we also have a rolling-start race to go along with the conventional standing quarter, plus a braking test. Place your bets, then press play.